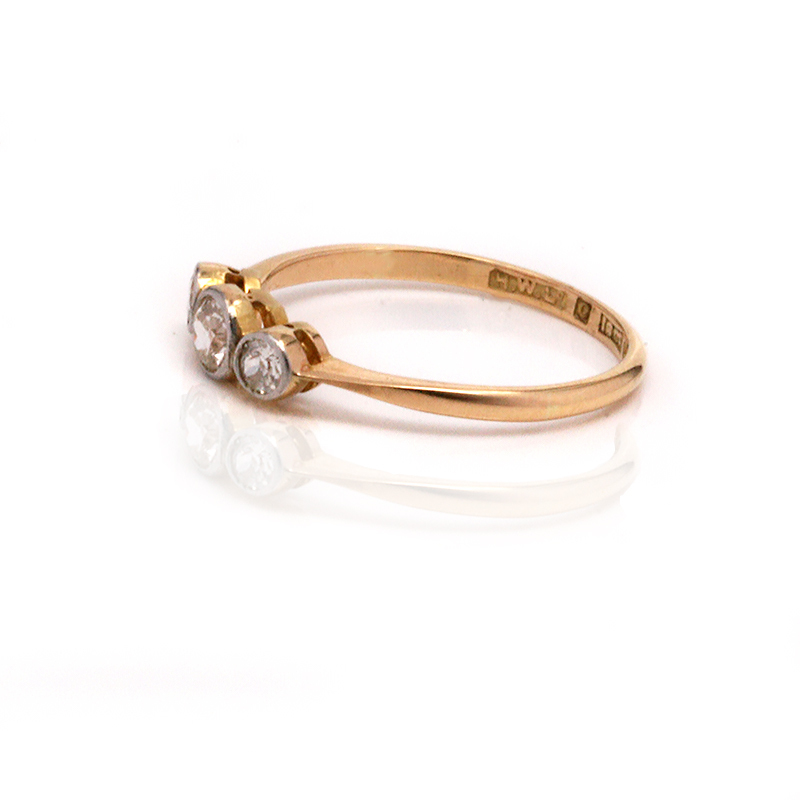 Product code: ES7224 Categories: Sold Items, Sold Rings. 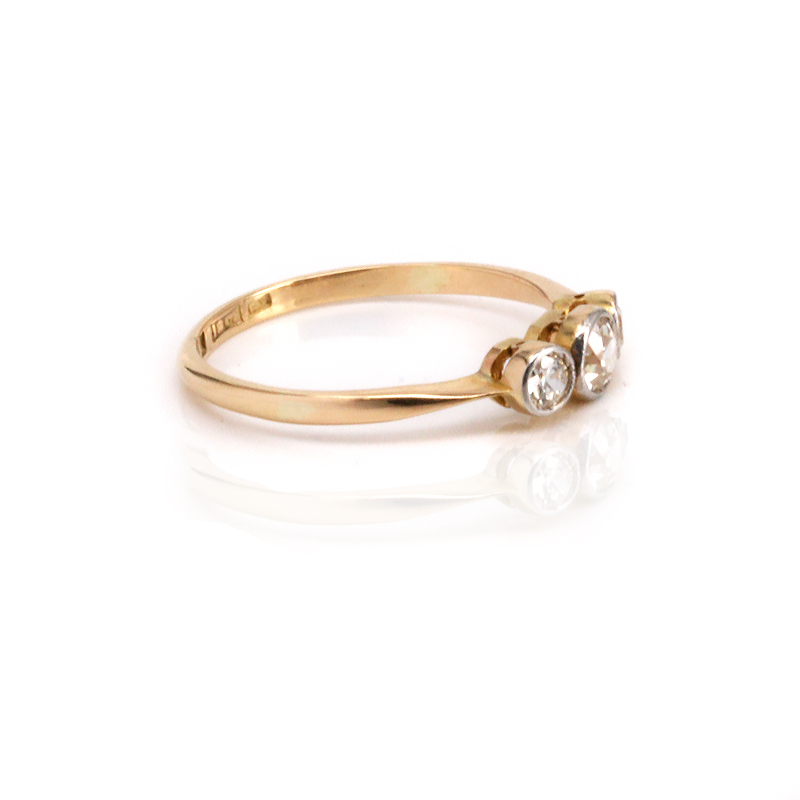 Dating from the fabulous 1920’s comes this 18ct gold and platinum Art Deco diamond engagement ring that is as beautiful and elegant today as when it was made nearly a century ago and is sure to always be loved and treasured. 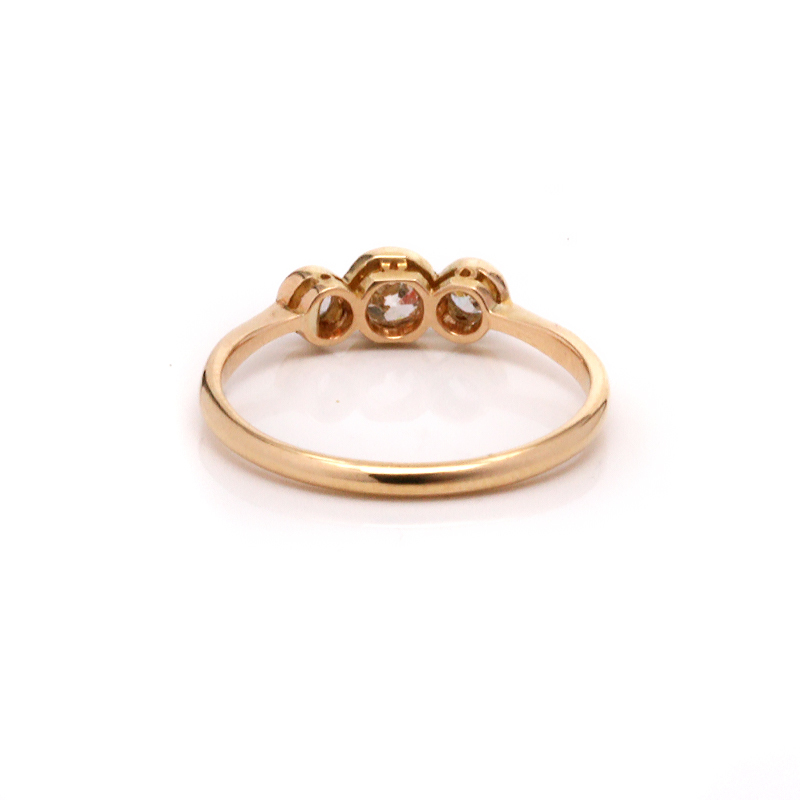 So beautifully hand made, this ring is set with three vibrant antique European cut diamonds that sit so well together. The centre diamond measures 0.26 carats and the two side diamonds total 0.22 carats and are G in colour and Vs to Si in clarity which means that they are in the white range of diamonds without any eye visible inclusions, and being genuine antique hand cut diamonds makes them all that more special and unique. Made in such an elegant design, this is a perfect example of an Art Deco engagement ring in a style that has never gone out of fashion or style. If you are after an elegant diamond engagement ring, then this might just be the one. 18ct gold and platinum Art Deco diamond engagement ring dating from the 1920’s and set with three antique cut diamonds.